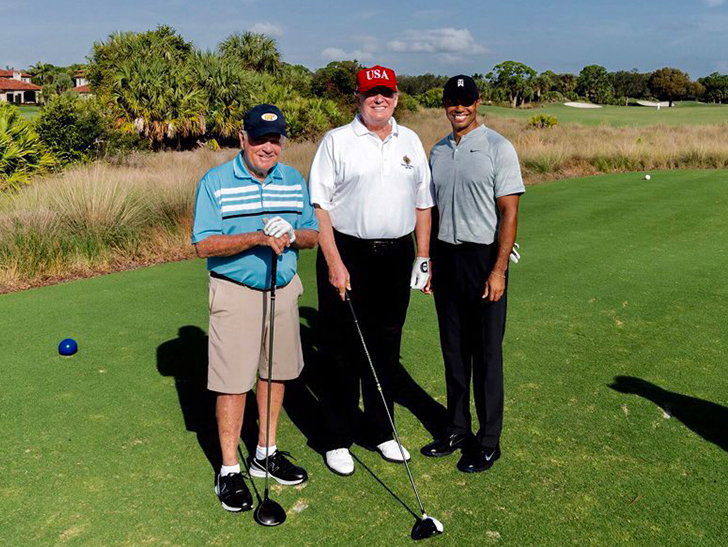 President Trump was in good company on the links Saturday morning … escaping the D.C. cold at his private Florida golf course with the 2 best golfers on the planet — Tiger Woods and Jack Nicklaus. POTUS tweeted a pic of the trio at the Trump National Golf Club in Jupiter … saying it was a “great morning” with the 2 golf legends. Trump and Woods are no strangers on the golf course … they also played together in Jupiter with Dustin Johnson in November 2017. Trump has golfed with a bunch of celebrities in the past … but considering the Golden Bear and Tiger combine for 32 major championships … it doesn’t get much better than this.